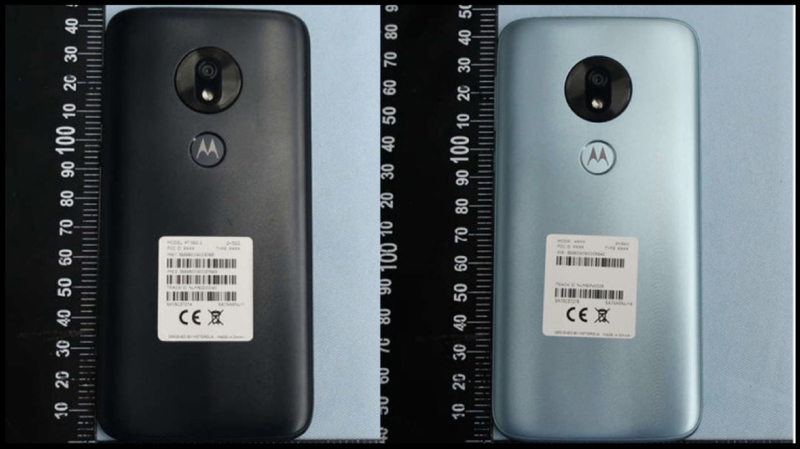 Every smartphone in the US market must pass an FCC certification prior to its launch and the same is true for the upcoming Moto G7 Play. The listing reveals a lot of specifications and the design of the smartphone. 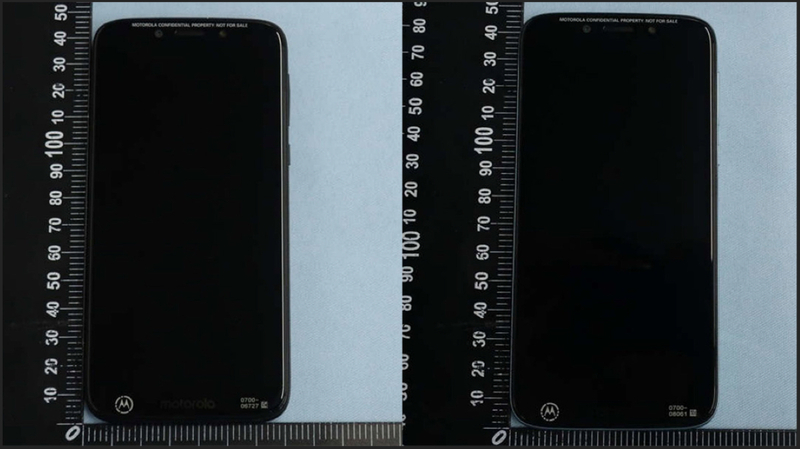 On the front, the Moto G7 Play has a notch display with a thick bottom lip which carries the Motorola branding. The notch houses the speakerphone and the front camera along with an LED Flash. The right side of the device is occupied by the volume rockers and the power button. While the left side houses the dual sim + memory card slot. The Moto G7 Play features the Octa-Core Snapdragon 632 CPU and Adreno 506 GPU. The new chipset is a considerable step up from the Snapdragon 430 which was present on the previous generation smartphone. Sadly, it only gets a small 2,820 mAh battery. However, the new phone retains the 3.5 mm jack, dedicated microSD slot, and the USB Type-C port. 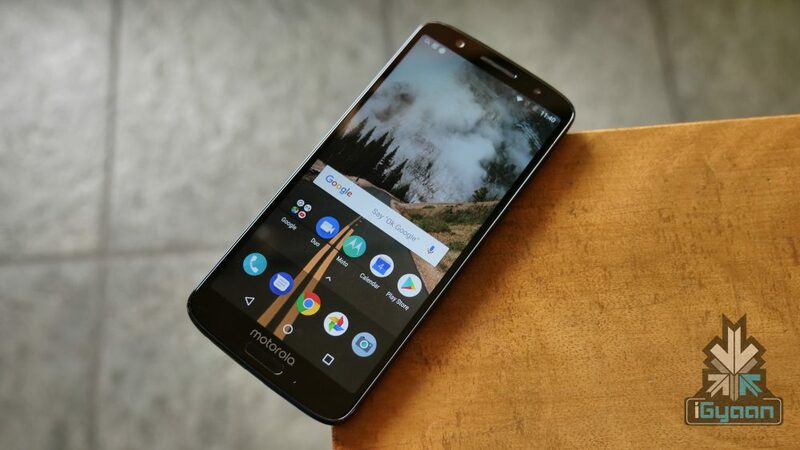 Like the Moto One Power, it also has a rear-mounted fingerprint sensor for securely unlocking it. Furthermore, the rear of the smartphone carries the single rear camera along with an LED flash of which the resolution is currently not known. 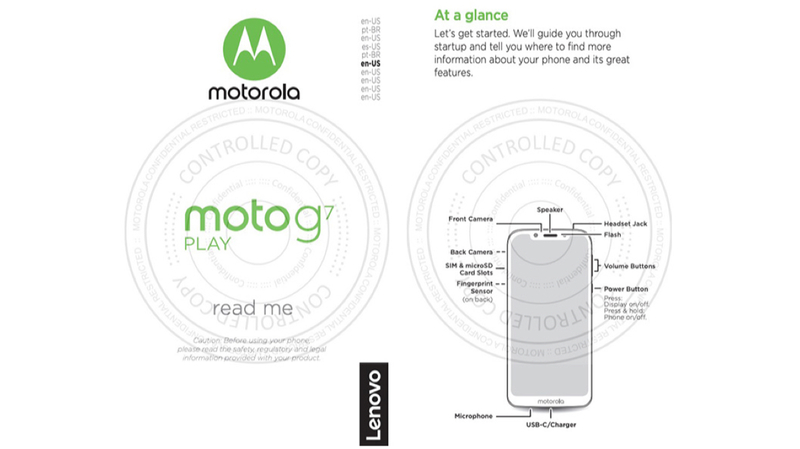 The launch date of the Moto G7 Play has not been announced yet but the FCC listing indicates that the launch of the device is imminent. Also, the pricing of the smartphone is unavailable and will be revealed at the time of its launch. But, it is expected to be similarly priced like its predecessor, the Moto G6 Play which costs Rs 12,999.